The Xerox AltaLink B8000 series of multifunctional printers has the features and capabilities to transform your office printing workflow. With an intuitive user interface that is easy to navigate using the 10” color touch screen, every user can execute complex printing tasks with ease. 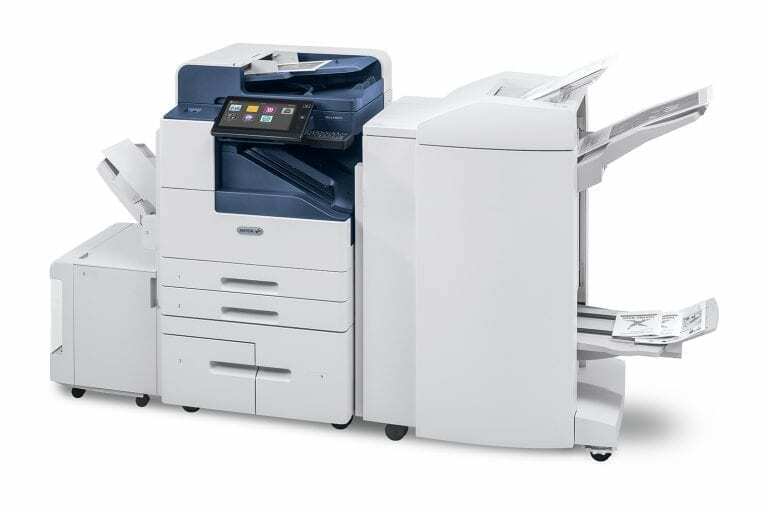 The Xerox AltaLink B8000 series of printers offers a printing solution that is scalable to your unique printing needs. Starting at production speeds up to 45 PPM (AltaLink B8045) all the way up to 90 PPM (AltaLink B8090), the AltaLink B8000 line has the printing capacity to ensure that even the most demanding printing situations are handled quickly and efficiently. Are you in a high-volume printing environment that needs day-to-day consistency and reliability? Look no further than the AltaLink B8090, which is rated for a duty cycle up to 400,000 pages per month. 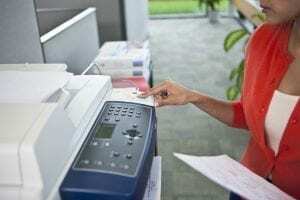 With the Xerox AltaLink B8000 series, you never have to worry about being tied to your desktop workstation to produce high-quality printing results. With integrated mobile printing functionality, and the industry leading security to support it, the Xerox AltaLink B8000 series of printers is ready to help you maximize your productivity and streamline your workflow. Cisco and McAfee integrated security. Encrypted Secure Print. Encrypted print drivers. IP filtering. SSL/TLS/HTTPS/IPsec/SFTP. Print from / scan to USB. 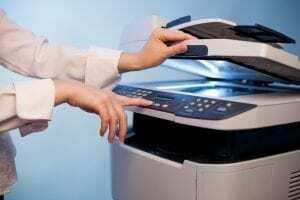 Printing speeds : 45 / 55 / 65 / 75/ 90 PPM. Android / Google / Apple mobile printing support. Print resolution: 1200 x 1200 dpi, 256 shades of gray. Copy resolution: 600 x 600 dpi. Duty cycle up to 400,000 pages per month (AltaLink B8090). 10.1” color touch screen interface. Total capacity with optional high-capacity feeder: 8,000 sheets. Single-pass duplex scanning up to 200 images per minute.